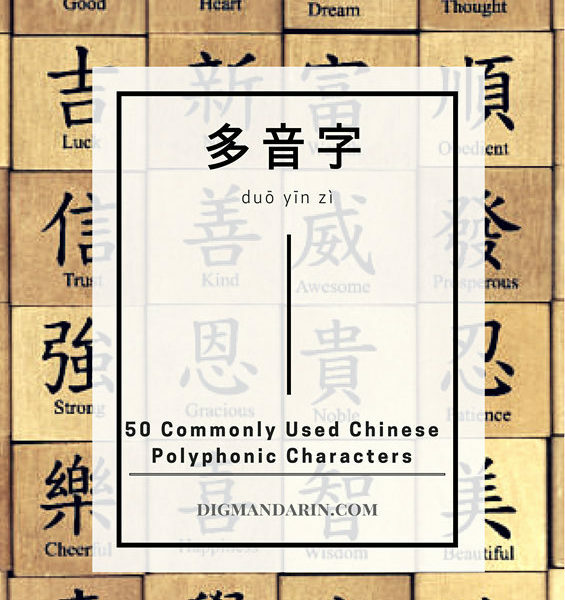 多音字(duō yīn zì) — The Same Character but with Different Pronunciations and Meanings. 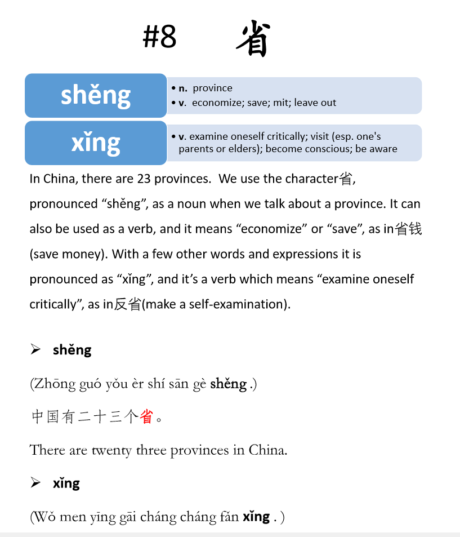 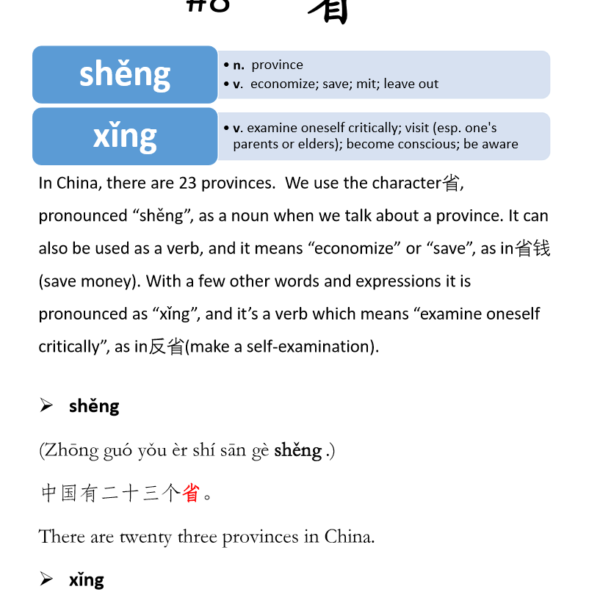 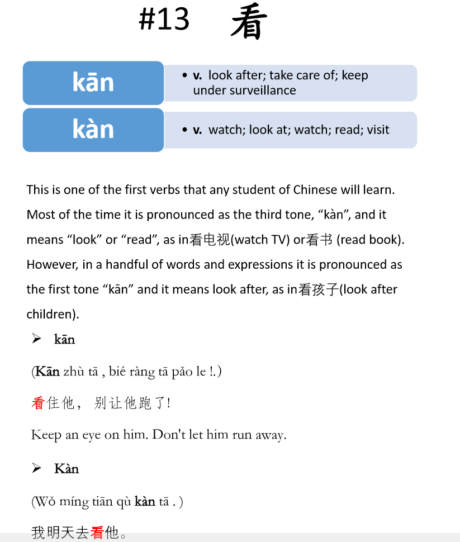 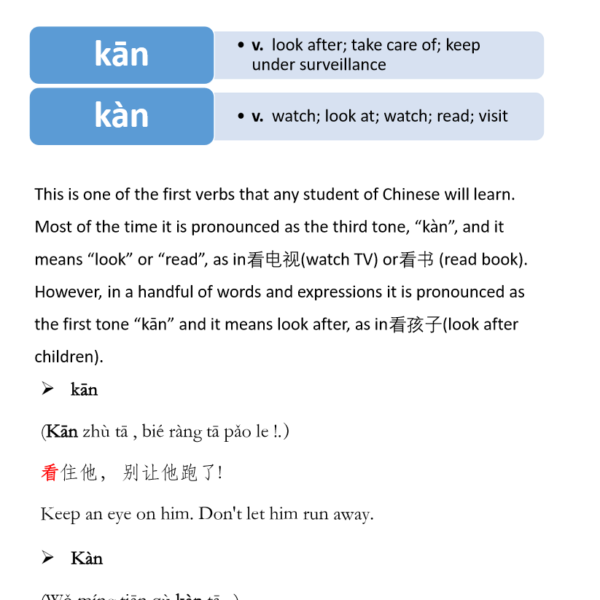 While studying Chinese, one feature of the language you have to remember is that you can have a specific character in mind, but you can also have several different ways of pronouncing it. 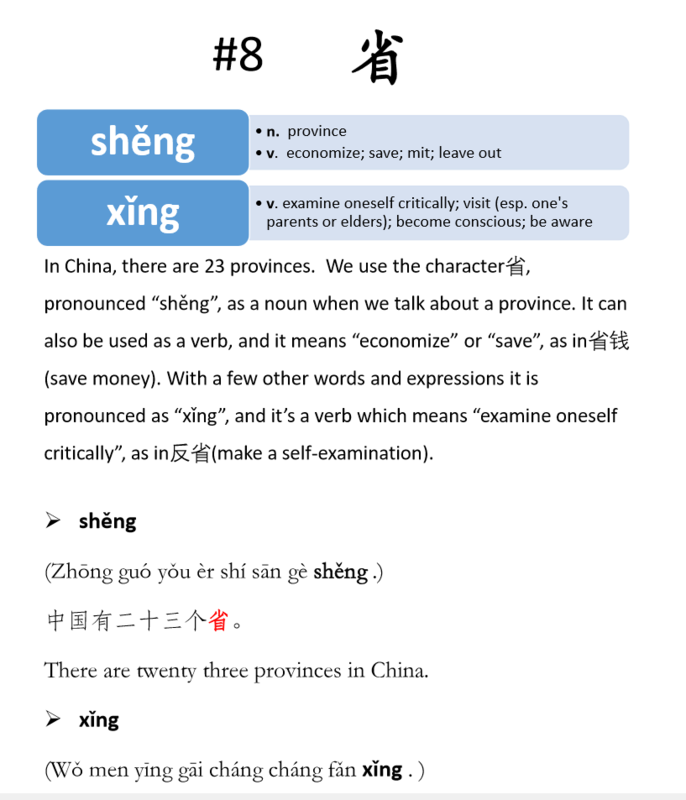 Depending on the context, this can alter the intended meaning of that character. 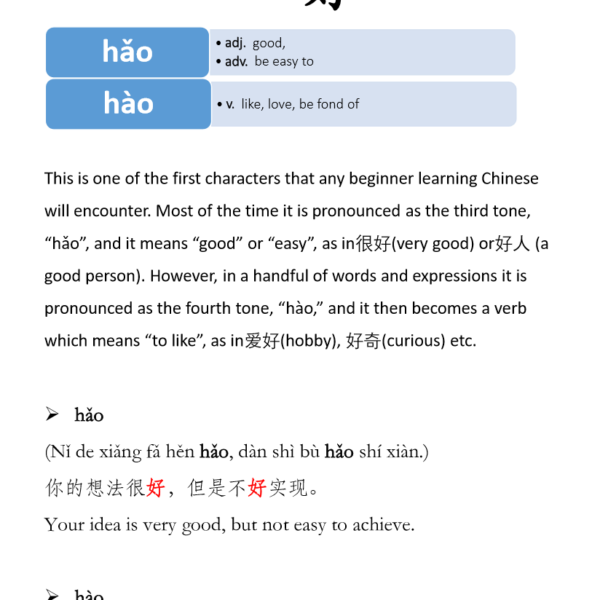 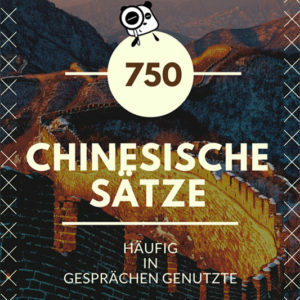 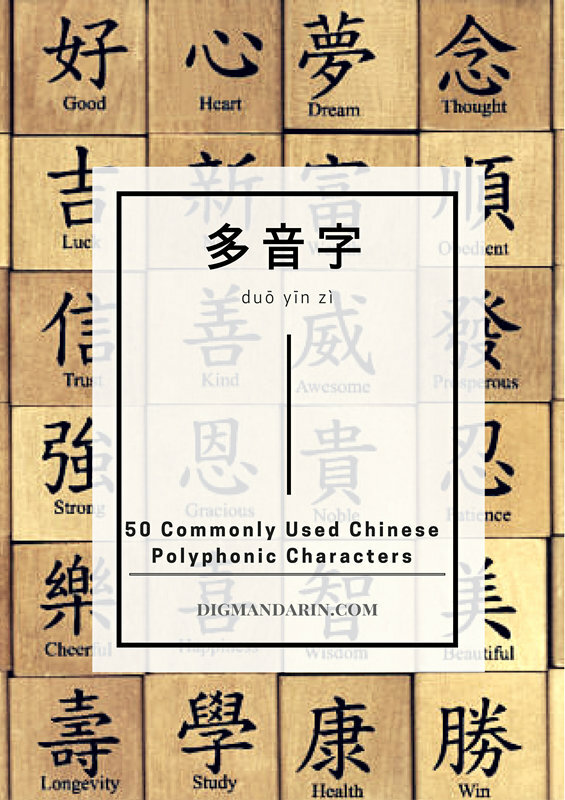 This e-book includes 50 commonly used Chinese polyphonic characters. 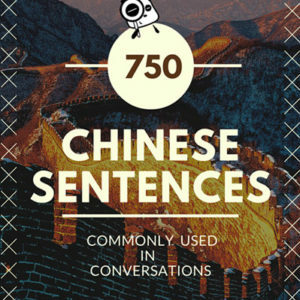 You will learn and use them in different situations and contexts! 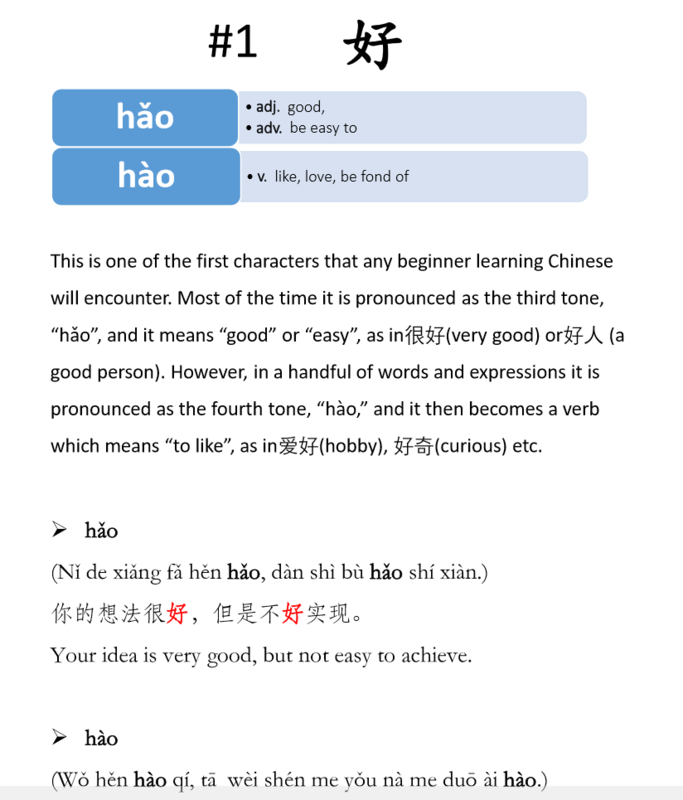 The polyphonic characters with example sentences were read for you by native speakers. 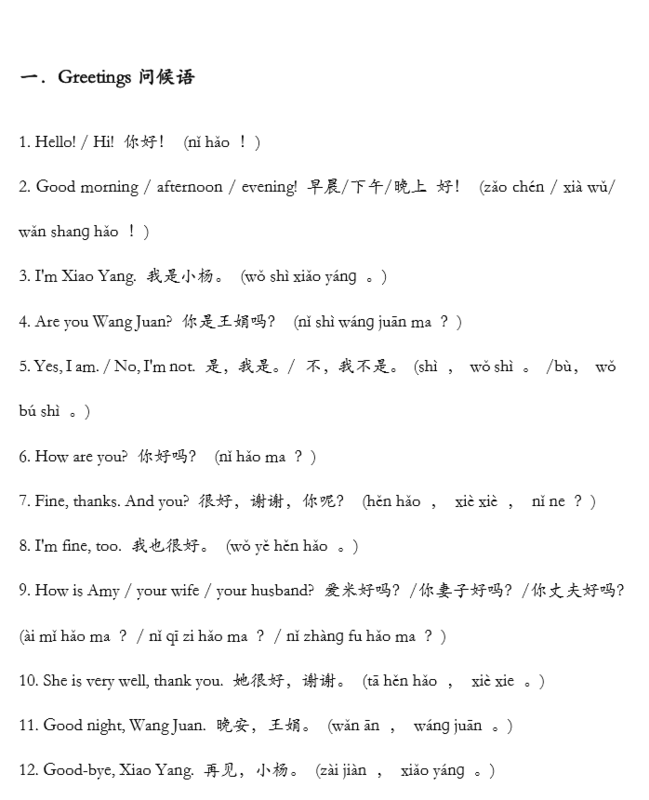 To make it more convenient for you to study, you can easily download all audios tracks.